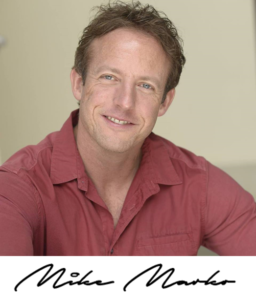 “How Long Should You Buy A Domain” written and video by Mike Marko. Are you about to buy or renew your domain and not sure how long to buy it for? You are often given choices of 1, 2, 5, and 10 years to pick from (and maybe other choices as well). So what one should you pick? The answer to that question is covered in today’s blog post. 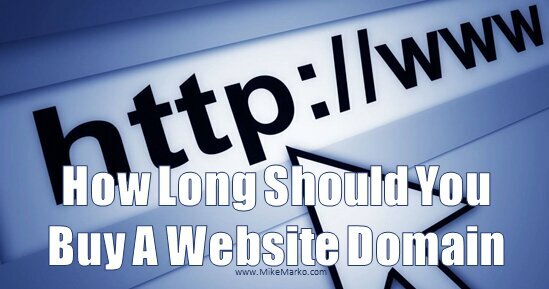 The following video talks about how long to buy a website domain. While it can’t be easily confirmed, many believe how long you buy your website for can affect your performance in search engines. Search engines like Google know how long the term is for a website. The think is that if the term is only a year, then there is a good chance that the website is a temporary website… and temporary websites shouldn’t rank as well against more permanent websites. Therefore having a ten year or longer term may improve your search engine results. It is very important to give careful consideration as to how long to buy a domain. Unless you are pinching pennies, follow the advice in this blog post to get you the best return on your investment.